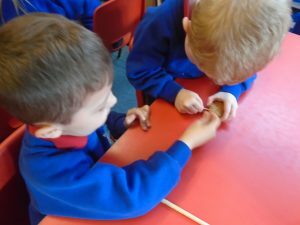 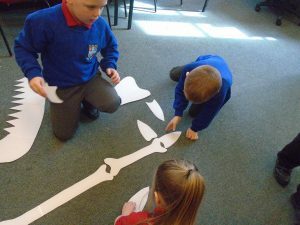 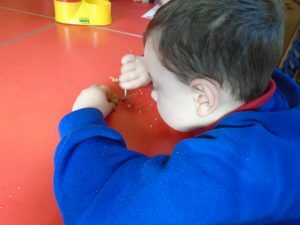 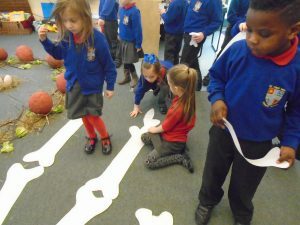 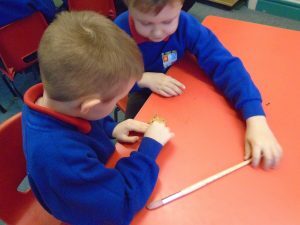 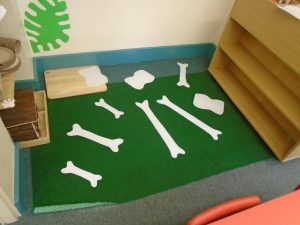 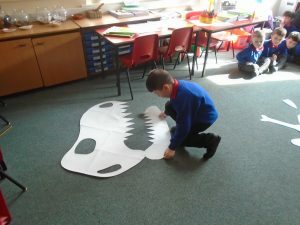 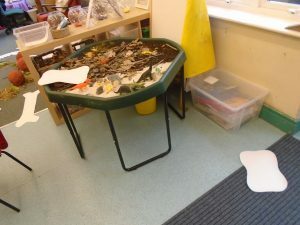 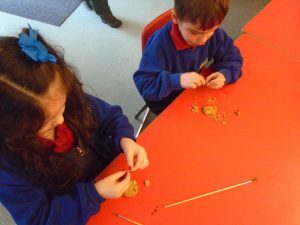 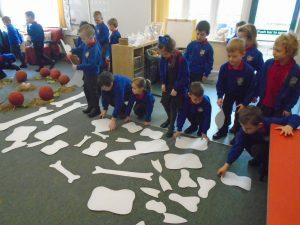 This science week, Year One have been paleontologists! 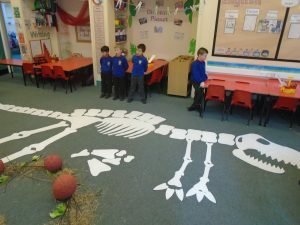 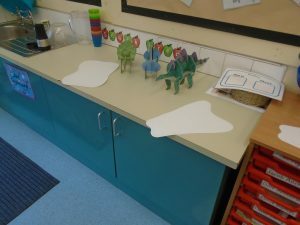 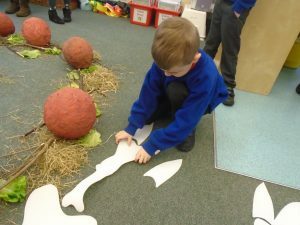 We have been exploring all sorts of things to do with dinosaurs. 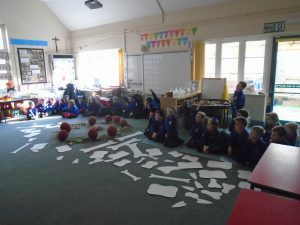 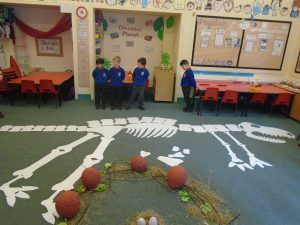 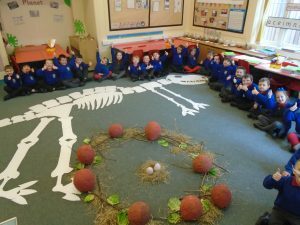 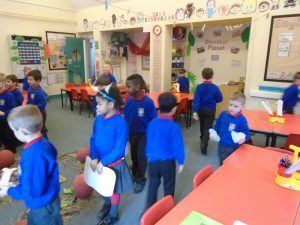 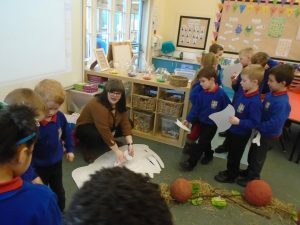 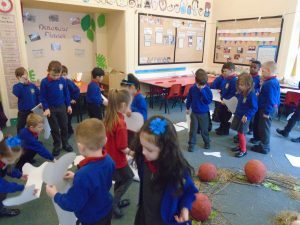 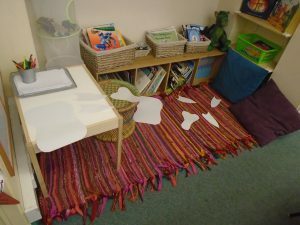 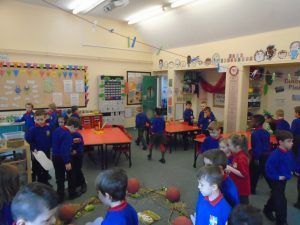 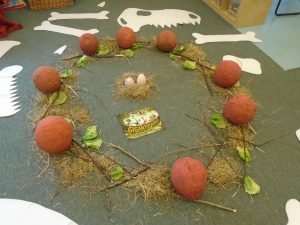 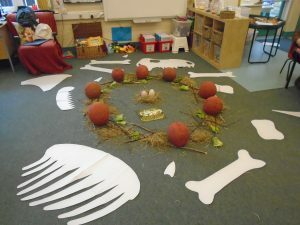 On Wednesday an enormous and mysterious nest appeared in the middle of our classroom and we realised it must have been a dinosaur. 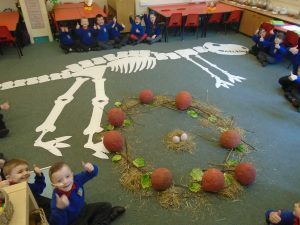 Its eggs were even bigger than your head! 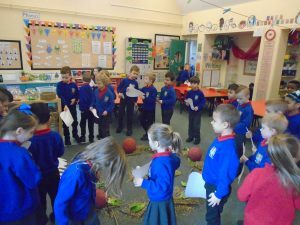 Throughout the day we asked scientific questions about the egg and made predictions about what they were and where they had come from. 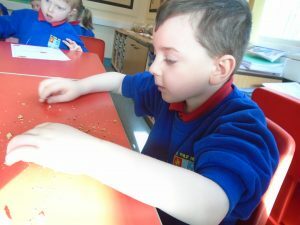 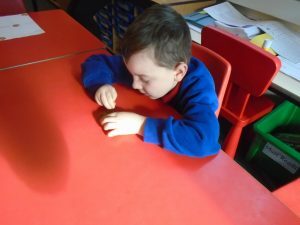 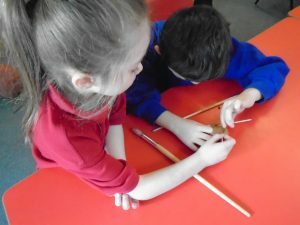 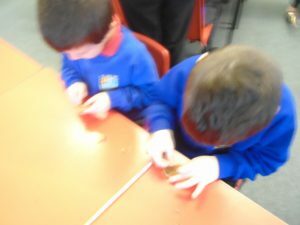 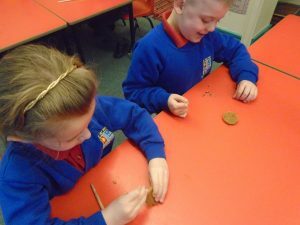 We investigated the best technique to dig out fossils from rocks, by digging the chocolate chips out of cookies using the correct tools – cocktail sticks and paint brushes. 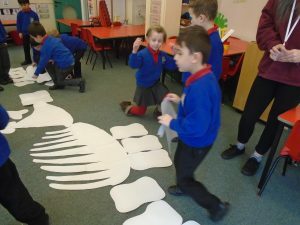 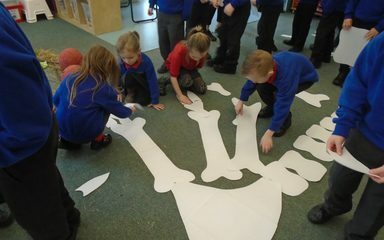 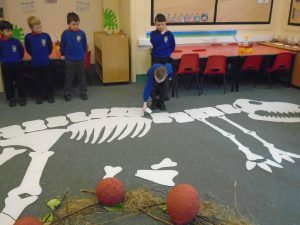 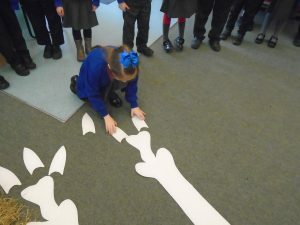 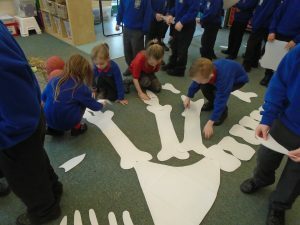 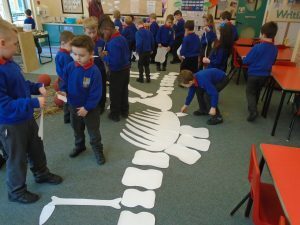 Then we put together a whole T-Rex skeleton by working out where each bone might go. 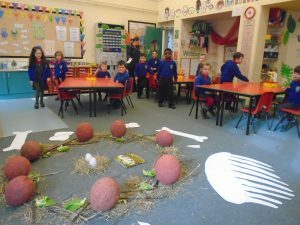 We also were lucky enough to spend some time with the chicks and talked lots about eggs and how things hatch. 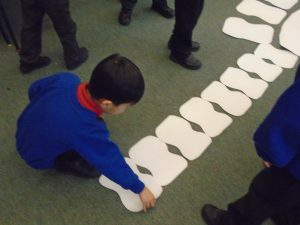 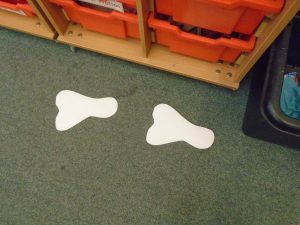 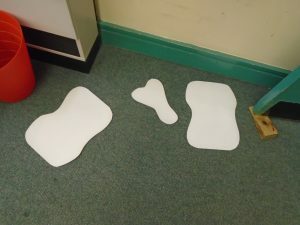 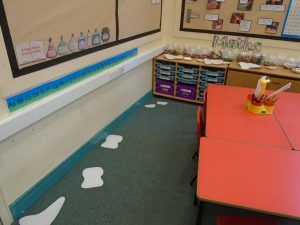 Finally, we did a footprint investigation, measuring some dinosaur footprints, and our own to see which was the biggest. 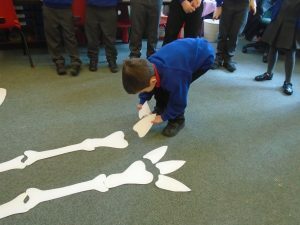 We had a fun-packed week and learned lots about how to be a brilliant scientist.